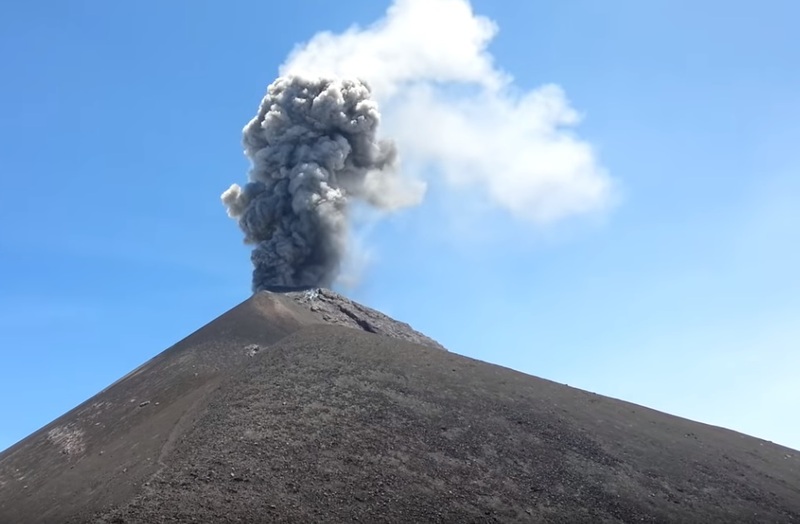 Authorities in Guatemala issued an orange alert on Thursday (Feb 1) over an erupting volcano located a short distance from its capital. Increased activity in the Volcan de Fuego ("Fire Volcano") overnight on Wednesday saw ash tower 1.7 kilometres into the sky and lava flows up to 500 metres down the crater's side, an emergency services spokesman, David de Leon, told reporters. Schools near the volcano, which is 35 kilometres southwest of Guatemala City, have been shut. The Volcan de Fuego, one of three active volcanos in Guatemala, triggered an alarm in September 2012 when it erupted, causing the evacuation of 10,000 residents living nearby. It is located very close to Antigua Guatemala, a colonial-era town very popular with tourists in the Central American country.